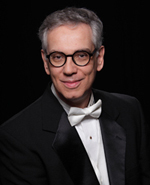 James Setapen, Director of the Academy and Conductor-in-Residence at the Music Institute of Chicago, has a broad background and interests, which includes positions as music director, associate conductor, guest conductor, university professor, opera coach and conductor, mentor to young musicians, conducting teacher, and public speaker. From 1988 to 2007 he was Music Director and Conductor of the Amarillo Symphony Orchestra. His very successful tenure included raising and sustaining the quality of performance, developing community interest and knowledge in the orchestra, and establishing innovative and accessible programs. During his tenure the symphony premiered several works, expanded its outreach into the community, initiated an outdoor Labor Day concert with fireworks, and was the subject of two television documentaries, which were each broadcast in more than 100 markets throughout the country. Setapen has guest conducted many orchestras and opera companies throughout the country, including those of Denver, Baltimore, Indianapolis, Orlando, and Honolulu. He has also conducted in several cities in Italy, Germany, and Austria. Recent guest engagements have included the Park Ridge Fine Arts Symphony, the Northbrook and Racine orchestras, and the University of Chicago orchestra. Setapen was Music Director of Summer Music Monterey, a program for middle school and high school music students, for seven summers. He has also worked with the youth orchestras of Oakland, Denver, and Amarillo. He was recently guest conductor for the Vermont All-State Orchestra, the Milwaukee High School Honors Orchestra, and the Northeast Kansas Honors Orchestra. He and his daughter Ilana were guest conductor and violin soloist with the "Musical Offering of Venice" Chamber Orchestra and were also featured as soloist and conductor with the National Repertory Orchestra in Breckenridge, Colorado. Former Associate Conductor of the Denver Symphony and the Omaha Symphony, Setapen won first prize in the Oakland Symphony's American Conductor's Competition, and as the San Francisco Examiner reported, was "...the consensus choice of the six judges, the orchestra and the audience...[he displayed] undeniable power and vitality – conductorial authority – that won him the prize." James Setapen received his Bachelor of Music with Distinction and a Performer's Certificate in Clarinet from the Eastman School of Music, and a Master of Music in Opera Direction from the Cleveland Institute of Music. He has also studied conducting with Boris Goldovsky and Max Rudolf, with Carl Melles at the Salzburg Mozarteum, with Franco Ferrara in Siena, Italy, and in Krakow, Poland with Christoph Eschenbach. Setapen has been on the faculty of the Conductor's Institute at Bard College in New York. Sue Polutnik is the Executive Vice President for the Music Institute of Chicago where she provides leadership, analysis, and strategic planning for institute-wide operations of the school including the Nichols Concert Hall performance venue, the Community Music School, and the Academy, a pre-conservatory training program for gifted string and piano students. As Executive Director of the Academy, she is responsible for overseeing day-to-day operations of the program while developing curriculum and planning initiatives designed to increase public awareness. She is also responsible for cultivating and maintaining collaborations with music and arts partners including Steinway Piano, Harris Theater for Music and Dance, WFMT, Chicago Symphony Orchestra, Northbrook Symphony Orchestra, Chicago Philharmonic, Chicago Youth Symphony Orchestra, Merit School of Music, Ravinia Festival, and the Chamber Music Society of Lincoln Center. She works closely with the Board of Trustees and the Advancement team to identify potential funders and is the first point of contact for outside agencies, prospective students, parents, and faculty. Sue also manages ArtsLink, a distinctive outreach program delivering arts integration curriculums and music instruction to public school students in Chicago and the surrounding suburbs, and Community Engagement, concert and event programming that cultivates relationships through community outreach. Prior to joining MIC in 2006, she served in director roles at several high-profile direct mail agencies. 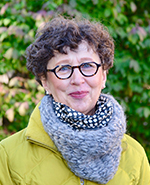 While raising her children, she wrote a weekly parenting column for a suburban local newspaper and eventually returned to the work force after developing an interest in the non-profit arts education community where she was the Executive Director and President of two nationally recognized youth choirs, Jubilate and the Barrington Children’s Choir. She received her Bachelor of Science from the College of Communications School of Journalism at the University of Illinois at Urbana-Champaign. She was a staff member of the Illini Publishing Company and wrote for the award-winning Daily Illini and Illini Magazine Yearbook. 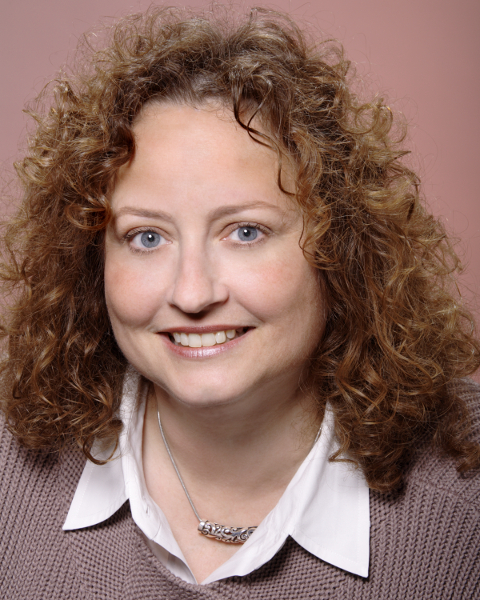 Originally from Detmold, Germany, Christiane studied music education and musicology at the Musikhochschule Lübeck and worked as a piano teacher and high school music teacher near Hamburg. Later Christiane worked as a Program Assistant for the Ensemble Modern in Frankfurt. In 1993, Christiane and husband, violinist Mathias Tacke, relocated to Evanston where they raised their two children Amelie and Johann. Christiane also shares her talents at the German International School Chicago as the Director of Extracurricular Programs. Her administrative skills and attention to detail, passion for chamber and orchestra music, and warm and enthusiastic disposition makes Christiane a perfect fit for the Academy.